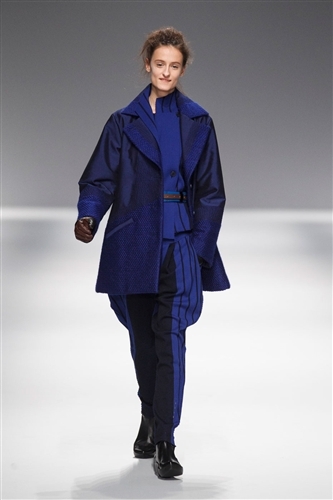 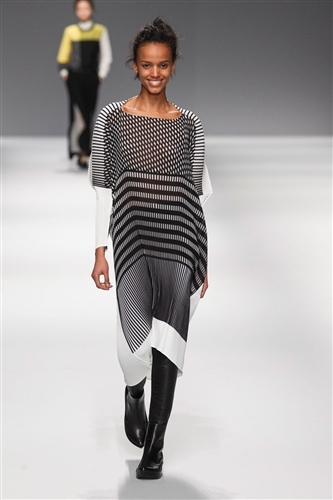 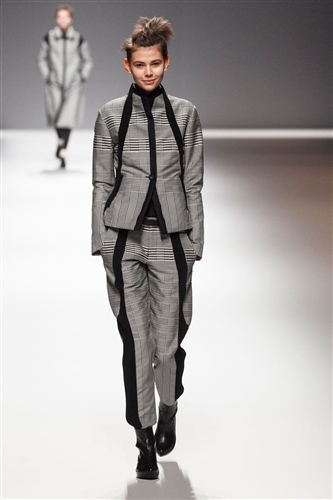 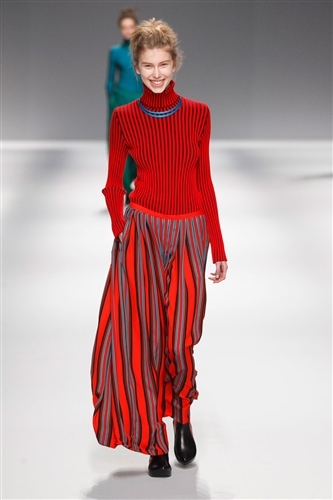 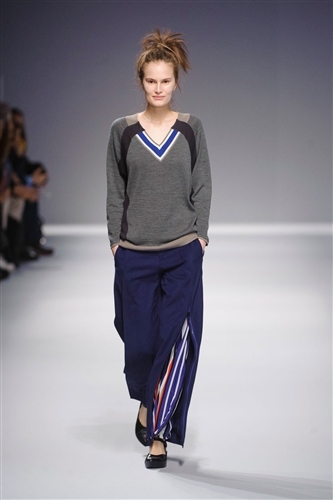 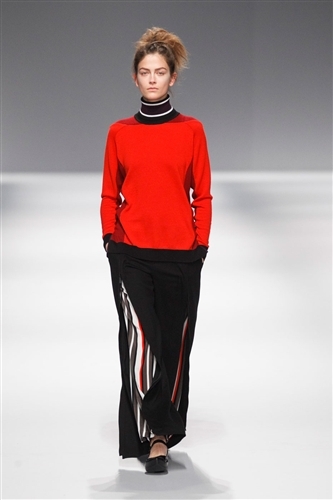 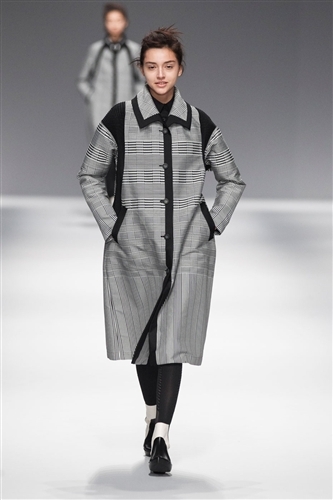 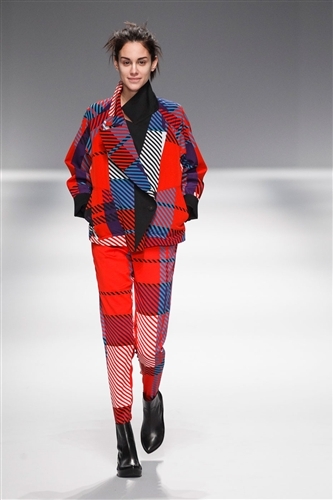 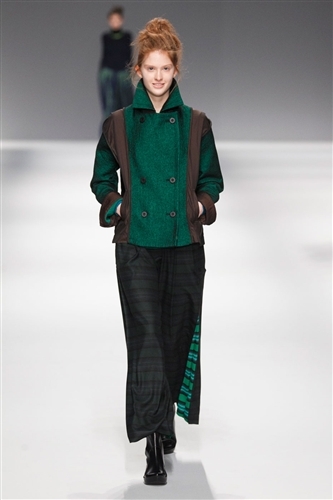 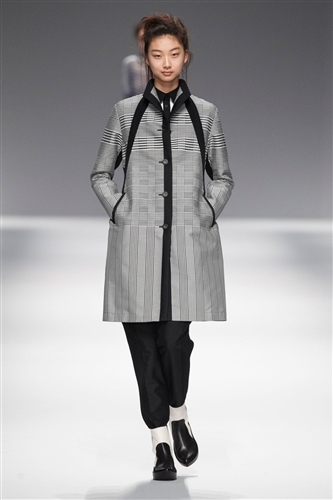 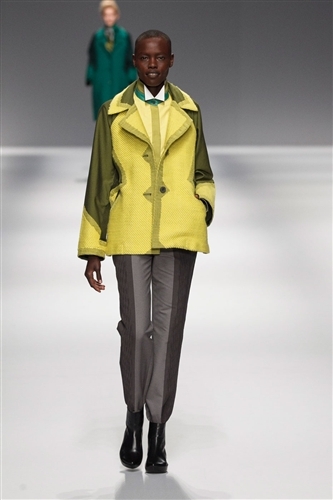 This collection was the boldest we’ve seen at Issey Miyake since Yoshiyuki Miyamae became creative director. 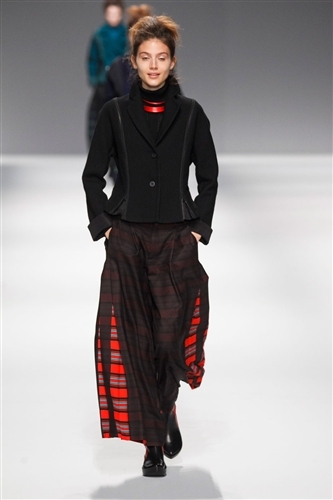 The designs were a startling and bold take on the tartan trend. 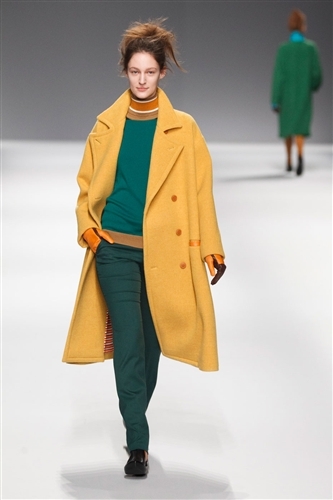 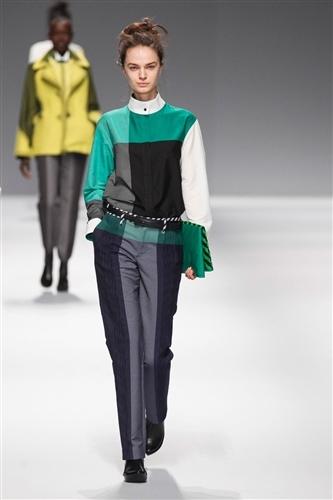 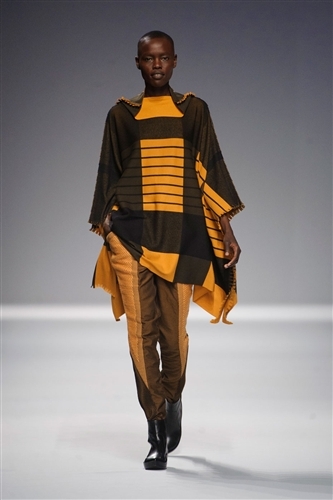 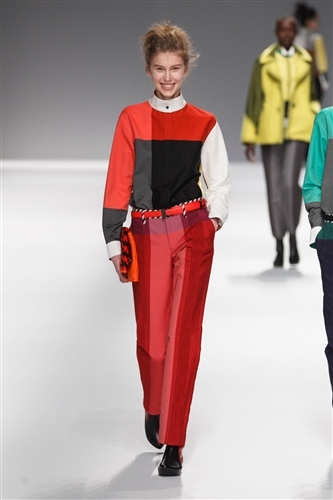 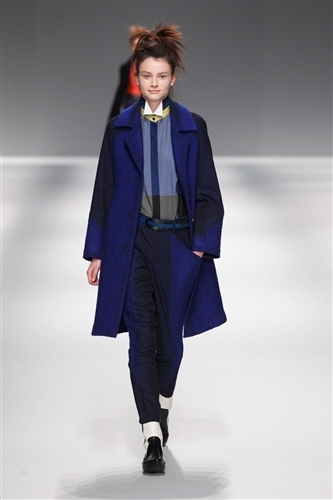 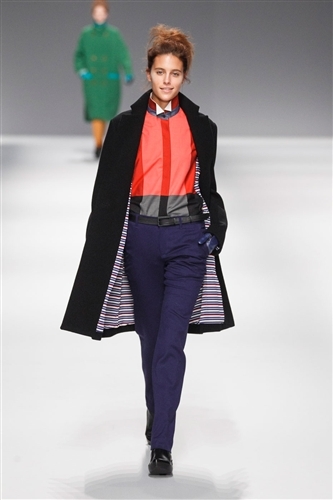 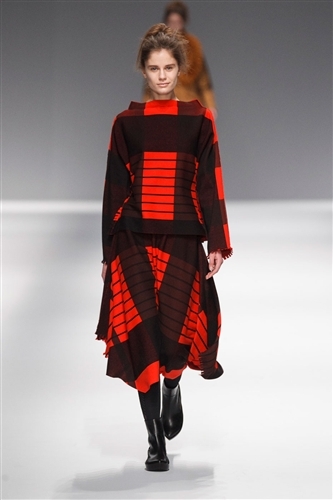 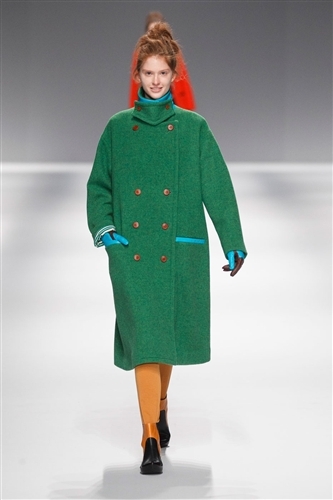 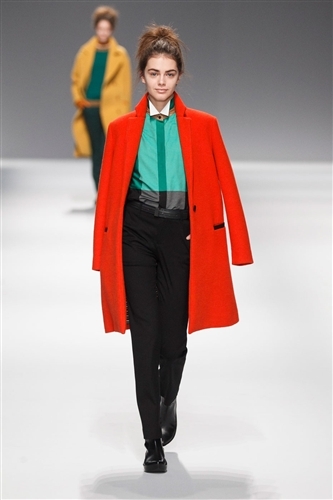 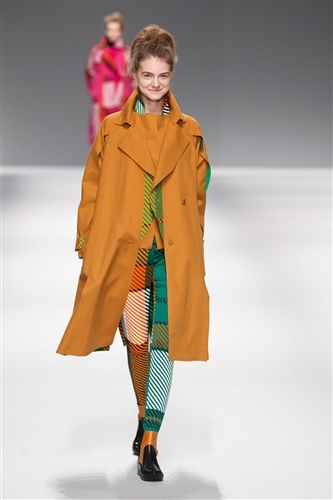 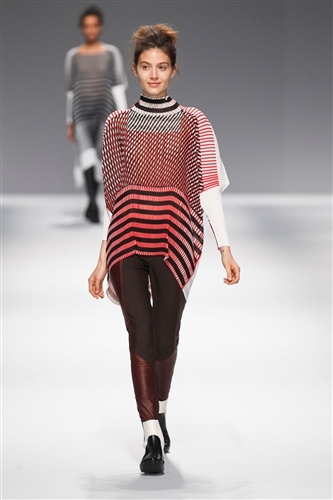 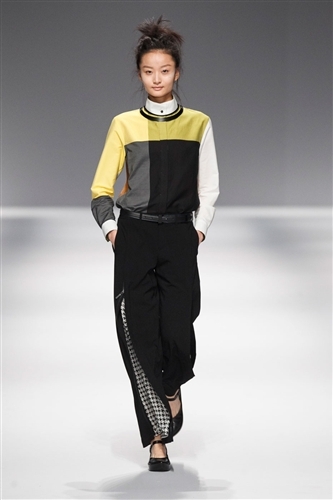 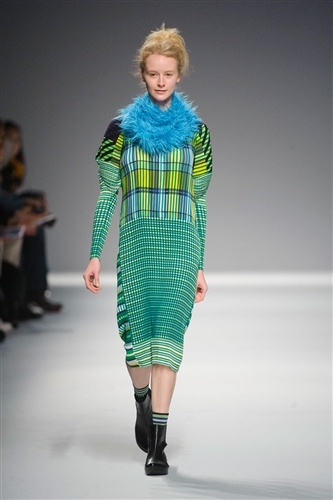 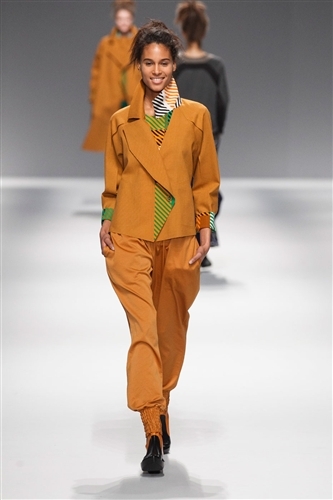 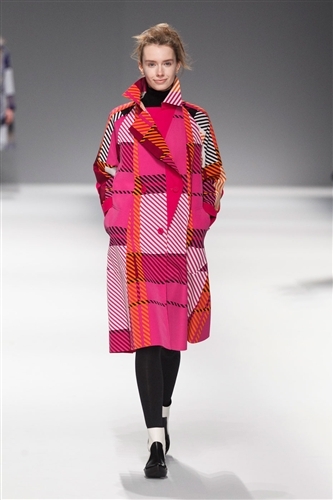 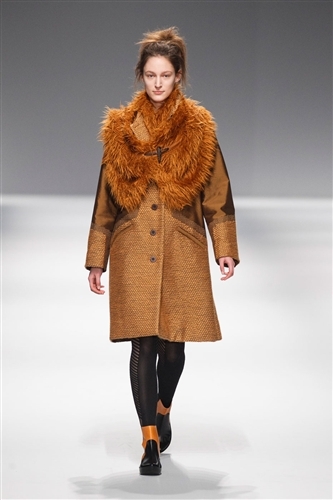 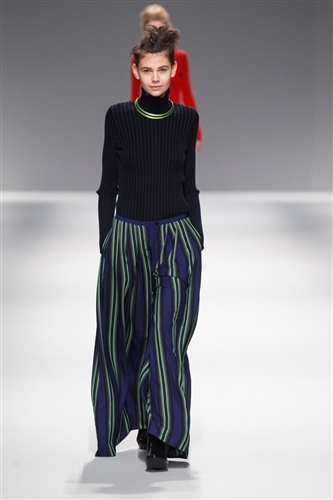 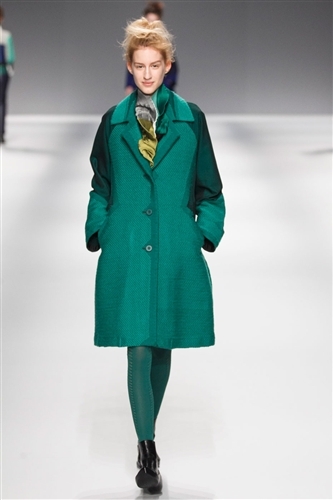 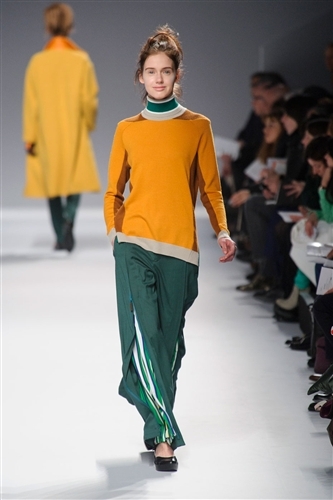 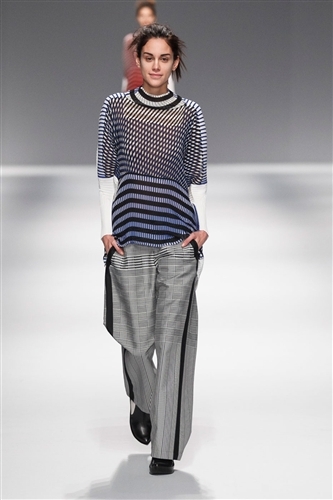 The collection was filled with graphic patterns and bright colours, which swept down the catwalk. 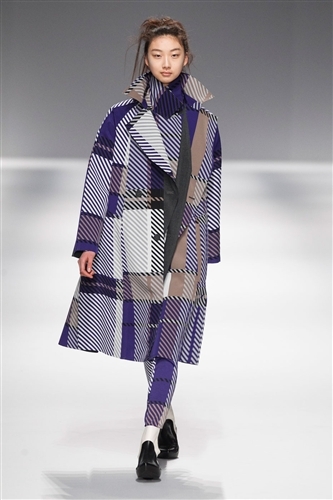 Yoshiyuki took the minute detailing of tartan and blew it up to a huge scale, giving the print a new, youthful lease of life. 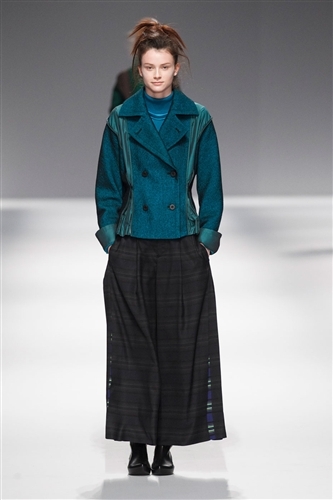 Highlights of the collection included sumptuous outerwear in wool and angora and trench coats made from a reversible bonded fabric. 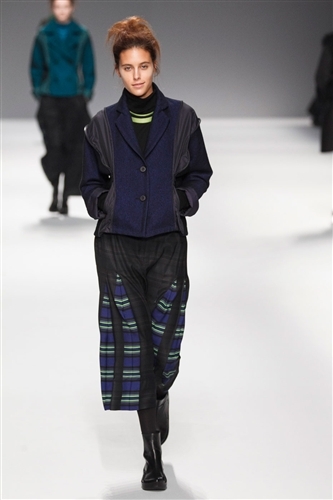 The collection was bright, fun and lively and cemented Yoshiyuki’s aesthetic direction of the house.